I haven't done much fall decorating this year, which means I am enjoying what other people have done. 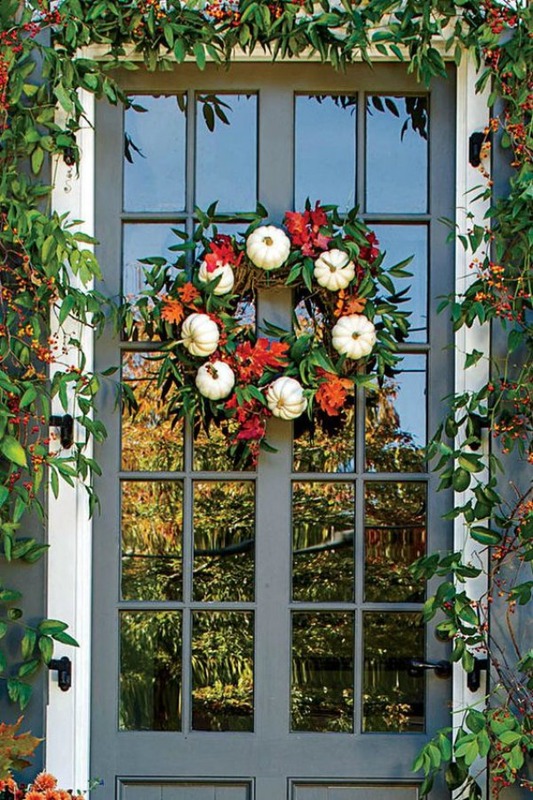 Don't forget your front porch. It is the first place your guests will see. 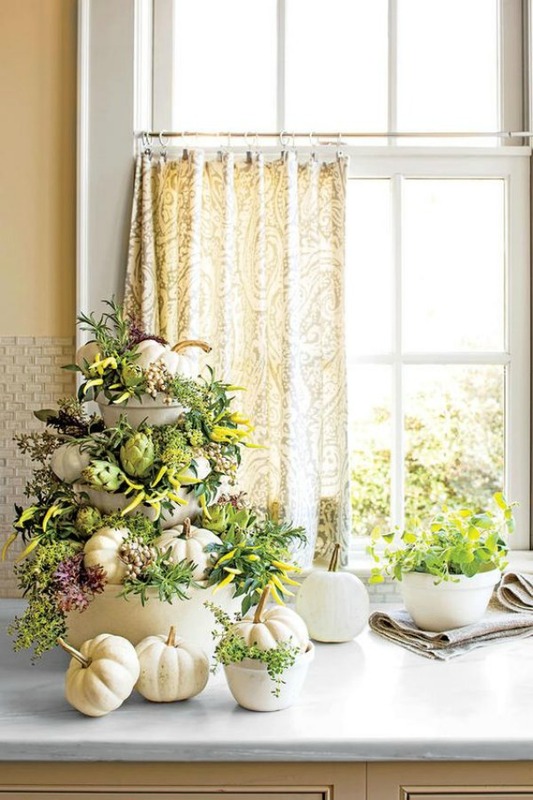 A very cottage style table centerpiece. 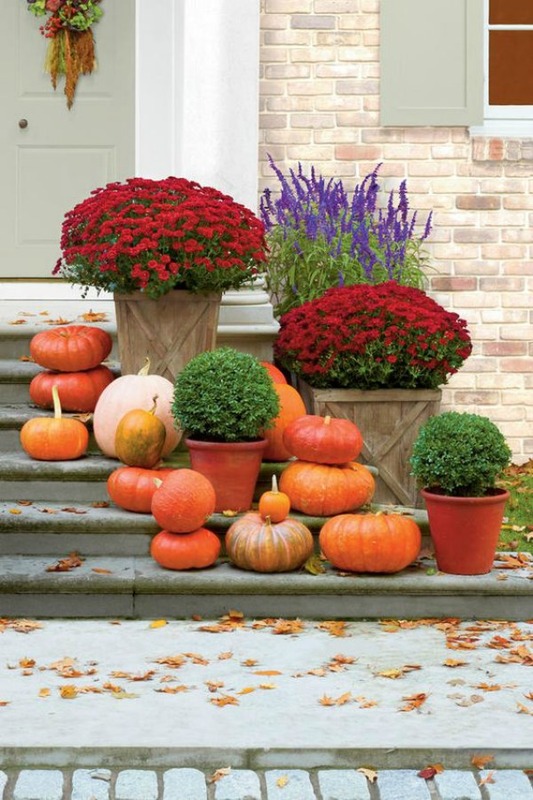 How much fall decorating are you doing this year. 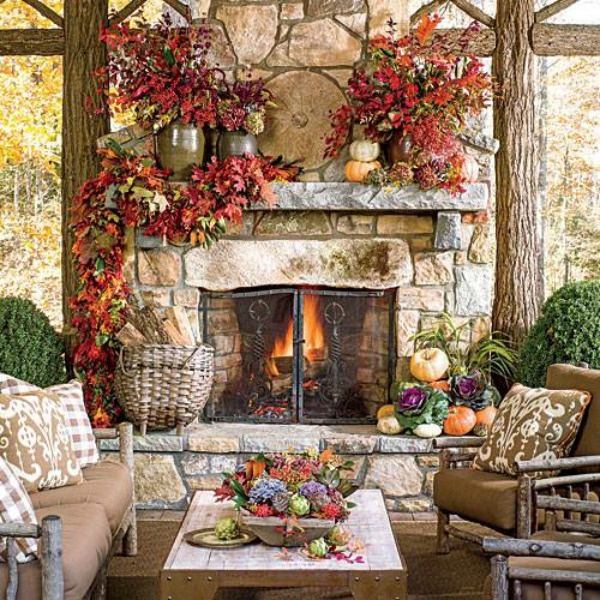 You can see more beautiful fall photos on my Autumn Pinterest board here. OH so pretty! I love all of these wonderful inspiration photos! Yes, these are great photos! Like you, I find myself wanting to have less and less each year. I don't know if it's getting older, or getting wiser. 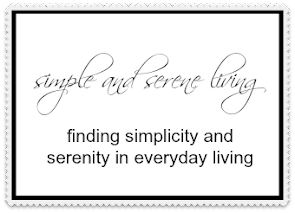 Or I'm just tired of extra clutter! Love every one of these gorgeous photos. Enjoy your Sunday, dear Laura. Beautiful inspiration Laura. The third and last one made my heart beat just a little faster. Have a great start to the new week. that outdoor fireplace had me at hello! So pretty!!!! 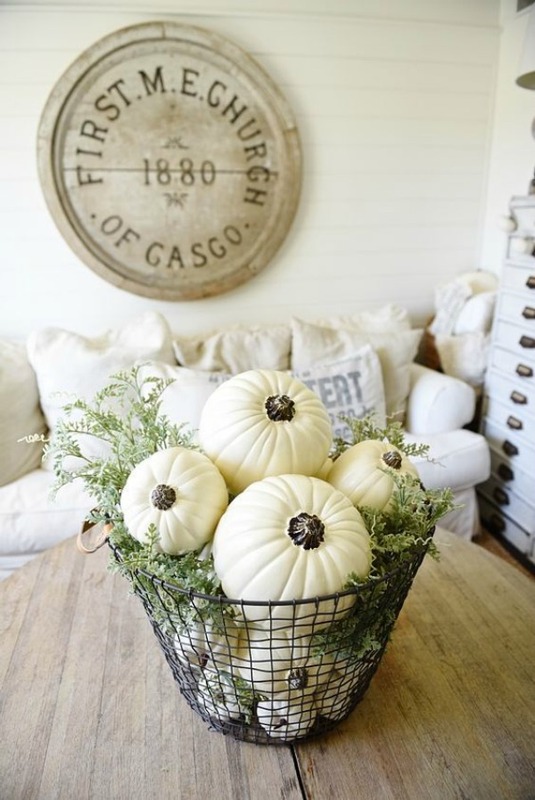 I love seeing what everyone does to decorate for fall - these are great inspiration photos! !